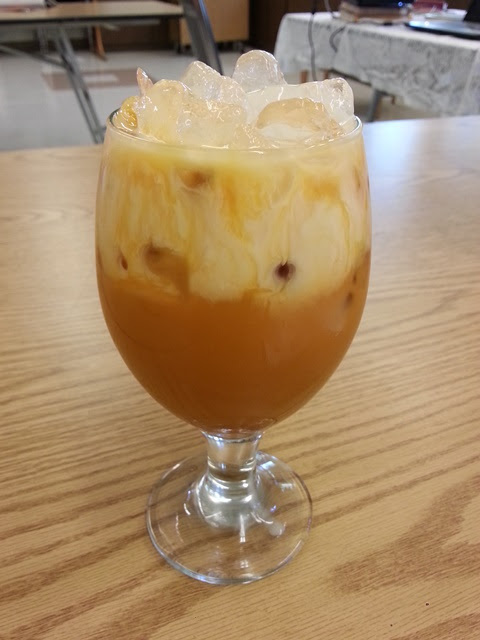 On August 1st, Penn presented a Thai Tea Experience. 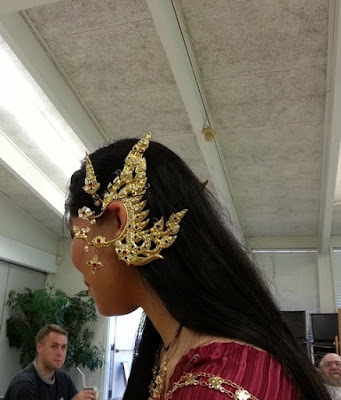 She shared with us a brief history of tea, from its origins in China to the introduction of Taiwanese tea cultivars to Thailand. We learned that Thailand's King introduced the Royal Development Project some years ago in a successful effort to replace poppy fields with tea plantations, and now tea is flourishing in Northern Thailand. While Thailand produces some wonderful teas, the most popular drink is still Thai Iced Tea (Cha Yen). The cool, sweet beverage is favored during the warmest hours of the day and can be purchased in restaurants, at markets, and at streetside stalls. Penn shared her Thai Iced Tea recipe with us and, with the assistance of Tanawan, prepared it for us while providing detailed instructions. 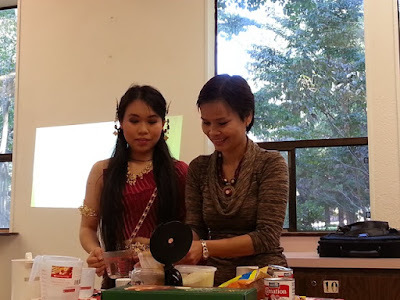 As we enjoyed our tea, Tanawan was kind enough to explain some of the elements of her traditional central Thailand costume which would be part of the Thai Cooking Experience that followed our event. Thanks to Penn and Tanawan for the wonderful presentation and thanks to APCC for continuing to host these wonderful events!